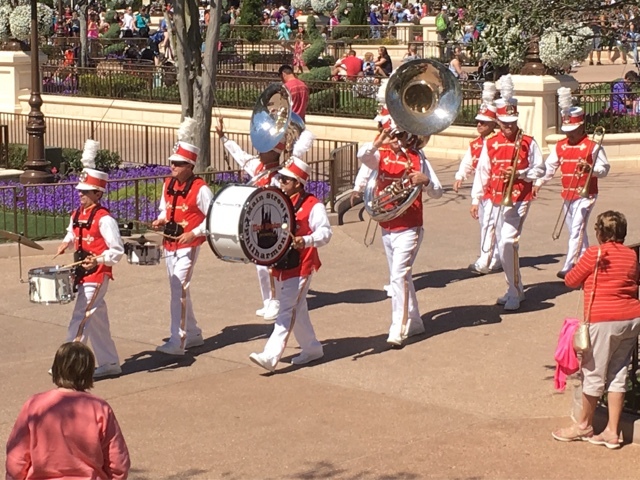 The Main Street Philharmonic has been entertaining Magic Kingdom guests for decades. This fun marching band plays up and down Main Street as well as in Storybook Circus. I took this shot from Tomorrowland Terrace last week, as the group was finishing up a set.